Militants from the Kurdish-led Syrian Democratic Forces (SDF) and pro-government troops, spearheaded by elite units from the Syrian Army, are battling Daesh terrorists in Syria's eastern province of Deir ez-Zor, seemingly racing one another to gain control of oil fields in the oil-rich province. On Sunday, October 22, the SDF seized control of the Al-Omar oil field from Daesh terrorists in the area. 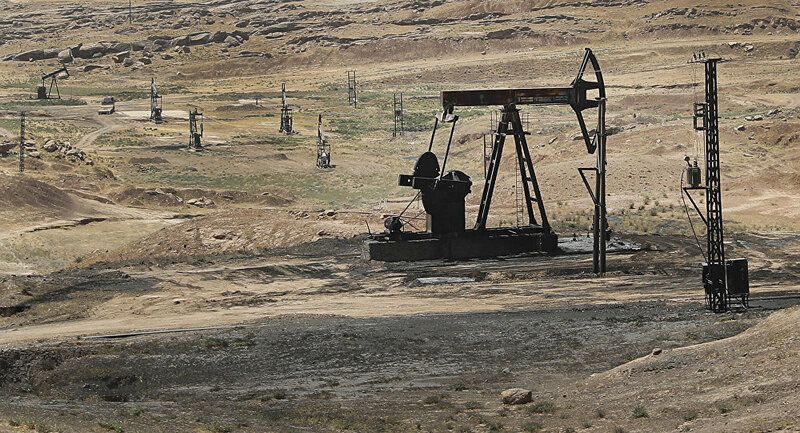 This strategic oil field accounted for around a quarter of Syria's pre-war oil output — circa 8,000 barrels per day (bpd). Less than 15% of Syria's current population live in areas held by the SDF, which cover much of the Turkey-Syria border. Meanwhile, the SDF now effectively controls around 80% of the nation's oil reserves, with the Al-Omar and Derro oil fields in Deir ez-Zor, and the Tishreen oil field in Al-Hasakah province, in addition to several others across Syria. Although President Bashar al-Assad and his government are open to the idea of holding negotiations with the Kurds to grant them some autonomy in a post-war context, they are unlikely to accept the SDF's disproportionate control of Syria's oil wealth. The fact that many of these oil fields lie outside of predominantly Kurdish areas, or the theoretical Kurdish state, makes the status quo even less tolerable by the Syrian government, its armed forces, and the wider Syrian population. According to reports, the Syrian government and the SDF have revenue-sharing agreements for some oil fields in northern Syria, but it's unclear if such deals will suffice post-war. Certainly, such deals won't be deemed acceptable by the Syrian government for oil fields in Raqqa and Deir ez-Zor, as these areas had majority non-Kurdish populations prior to the conflict. Syria's allies, particularly Iran, have supplied oil to the war-torn state to help keep the economy afloat throughout the crisis, but President Bashar al-Assad will surely be keen to reduce the country's dependence on foreign parties to meet domestic demand for oil. Although Syria's oil reserves and production capabilities aren't significant relative to regional energy giants, such as neighboring Iraq, they will bolster the embattled state's fragile economy, and reduce the need to import oil. Despite the US providing military support to the SDF against Daesh, and attacking a warplane belonging to the Syrian Arab Air Force (SYAAF) when it allegedly targeted SDF positions earlier this year, President Trump is unlikely to intervene in defense of the SDF against a wide scale offensive by pro-government forces, for numerous reasons. Attacking the Syrian Army and its allies on such a large scale would risk retaliation from Russia in some form, as Russia already has military assets in Syria backing the Syrian Army in nationwide counterterrorist operations. Iraqi forces, namely the Popular Mobilization Units (PMUs), have previously expressed interest in backing pro-government forces in Syria. Iraqi forces are actively fighting Kurdish Peshmerga troops in northern Iraq to recover disputed territory. However, they could simultaneously deploy units to Syria to weaken the Peshmerga's Syrian ally. As Iraq is a key US regional ally, and has been the recipient of billions of dollars of military aid, it's unlikely that the US would attack Iraqi forces in Syria, as they would risk unnecessarily straining ties with a strategic ally. From the SDF's perspective, there is little incentive to engage in a war with the Syrian Army and its allies, as they don't currently possess the relevant expertise to efficiently operate the oil fields, and there are effectively no feasible export opportunities, as the Kurdish enclave in Syria and Iraq is landlocked by increasingly hostile neighbors. Instead of starting a war with Damascus over a few oil fields, which would ultimately serve very little use to the SDF anyway, they are likely to use them as a bargaining chip in negotiations for limited autonomy.